Strong and secure 40 foot steel containers for storage, shipping, housing or your own unique use. 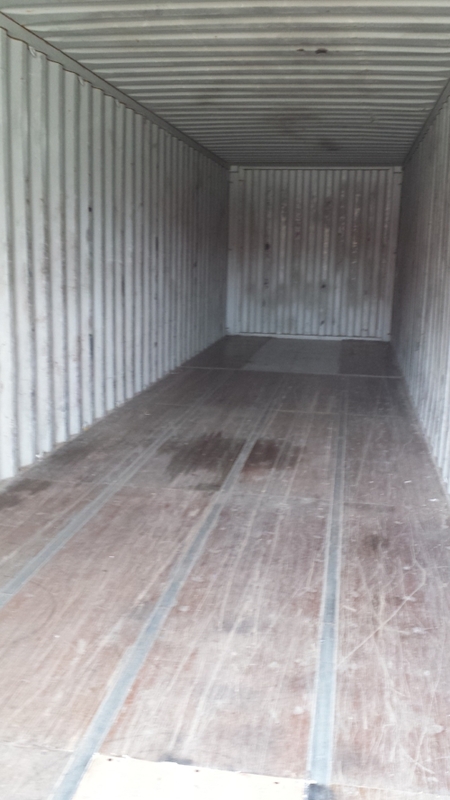 Long-term storage needs can be met with 40 foot containers. They are a great option when you need to store larger equipment or many items and do not plan on moving the container around. 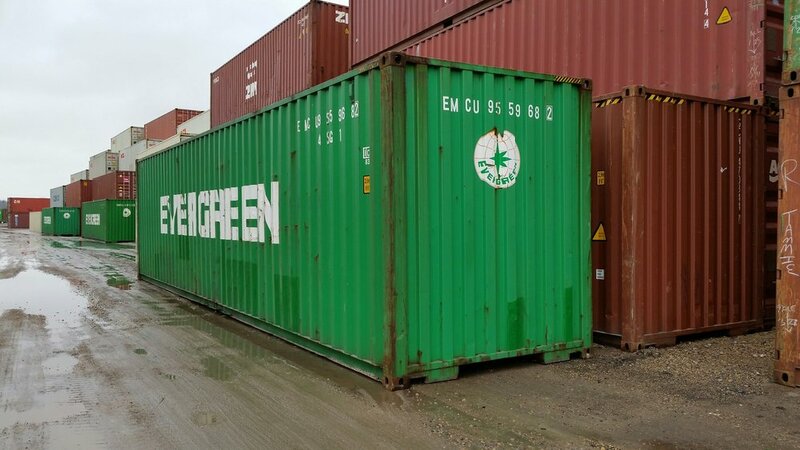 40 foot containers come in two sizes: standard and high cube. 40' standard containers are 8'6" high and high cubes, or 40'HC's, are 9'6" high. 40' High cube containers tend to be more popular than 40' standard containers. There are benefits to each of them. The obvious benefit to the high cubes is that they are a foot taller, thus provide more space. The other benefit is that in some markets, the 40' high cube containers are cheaper than 40' standards. There tend to be more 40'HC's in use for commercial shipping, a trend that is only growing. The upside on the 40' standards is that if you plan on moving the container by flat-bed, the 40' standard will fit on the flat-bed and not be overheight. Please note that the containers pictured in this series are all used containers. For pictures of one-trip/"new" ones, please see our New & Used page from the link above. Interior Size 39' 5.5"" 7' 8.5" 7' 9.75"
Door Size NA 7' 8.25" 7' 5.75"
Interior Size 39' 4.5" 7' 8.5" 8' 9.75"
Door Size NA 7' 8.25" 8' 5.75"
40' cargo containers are great for storing documents, inventory, equipment, feed, etc. They can easily be converted into a workshop to provide both storage and protection from the elements. Go one step further and set up two containers with a roof between them for additional storage and workspace. 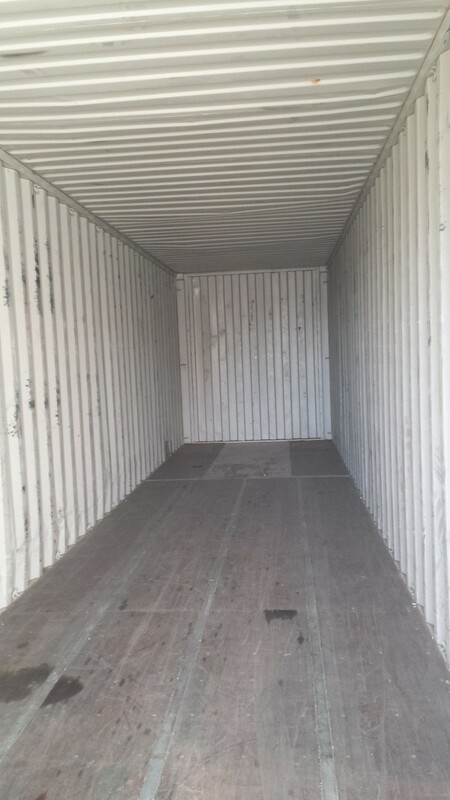 40' containers can be moved around when they are empty; however, they have special requirements when they are full. Most tilt bed trucks are designed to pick up containers that weigh up to 25,000 pounds (including the weight of the container). Due to these weight limits, the only other way to pick up a full 40' container is to use a crane. If you are exporting your container, we can make sure your container is cargo-worthy and surveyed. Cargo-worthy is a specific condition where the container must meet specific structural specifications so that the container can handle the rigors of international shipping. 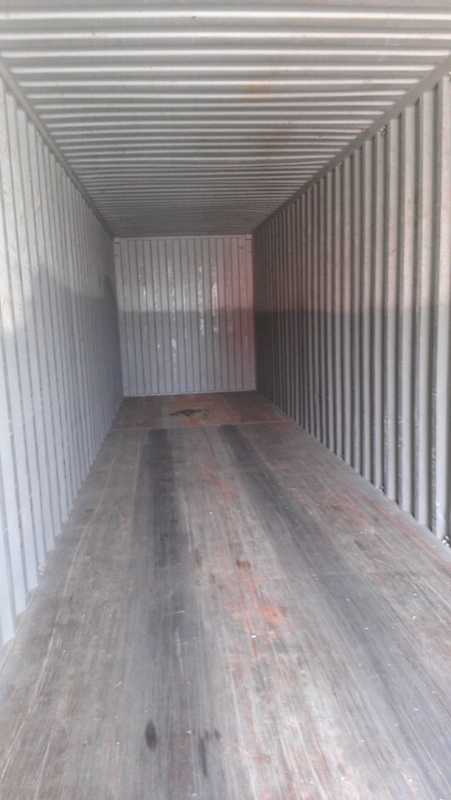 In addition to having the container in cargo-worthy condition, you will need a survey, which is a certificate showing the container is in cargo-worthy condition. We can also handle the survey for you. The 40' high cube container is the one most often used for recycled or container housing because of the extra foot of head room. Architects can assist in creating shelters, housing, or office space. If you are not sure what size you are interested in, let us know. We can help you figure out what will meet your needs best. We can help you determine the right size, modifications, paint and other options to ensure you get the right container for you.